How Do You “Shelter” Your Young Children From Current Events? 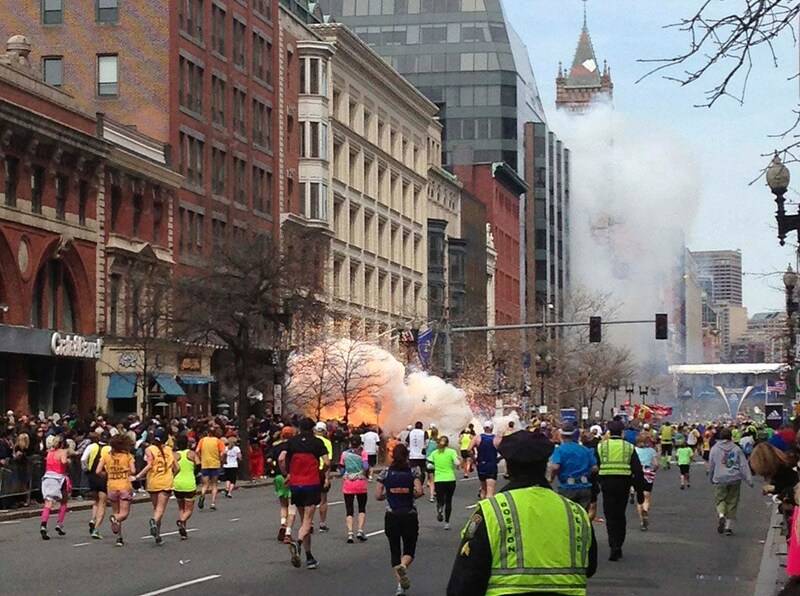 We happened to be staying in a hotel the same day that the recent bombing at the Boston Marathon happened. The next morning, my wife and I helped our 5 year old and 21 month old get their food from the breakfast dining area, then got our own food while one of us was holding our infant. We were all excited for the breakfast spread at the hotel and were just starting to enjoy it when a morning news program began blaring in the dining area. All eyes were on the TV, trying to hear the latest news about the explosions. We couldn’t turn it off. Getting down there and getting back upstairs was no easy task–impossible to imagine going in reverse with food in our hands–so we sat there for a few minutes trying to distract our 5 year old, until he asked if there were any kids hurt in the explosion. We gathered them up quickly and headed back upstairs with our food, little ones and food both in our hands. Sometimes as you walk through life your young kids will ask you questions that you are not prepared to answer, and that they may not be ready to hear a full answer to. I won’t pretend to be able to do this perfectly, but we can balance giving them an appropriate answer that brings God’s Word to the issue while also not telling them things that are too much for them right now. For example, I was able to give my son a concise answer about marriage that seemed appropriate for his age, by simply telling him that God made marriage for a man and a woman only. He asked more about it, but I told him that was all he needed to know right now. As he gets older, we will have longer discussions about relevant issues like marriage and explosions. “Yes,” he said. “And it would be a pretty poor father who would ask his little girl to carry such a load. It’s the same way, Corrie, with knowledge. Some knowledge is too heavy for children. When you are older and stronger you can bear it. For now you must trust me to carry it for you. Don’t you love how parenting makes you beg God for wisdom? Lord, give us wisdom to teach our children biblical principles when they come across hard issues in this world, while also knowing what their young minds can and cannot handle. I needed to read this today and I hope that it is an encouragement in your parenting as well. Click here for the entire excellent blog post from Jason Helopolous at the Gospel Coalition. We often think of Mary as a mature woman, especially when you read her “Magnificat” or “Song of Praise” in Luke 2:46-55. However, Jewish traditions at the time of Jesus’ birth point to the fact that Mary was probably about 14 years old when she was told by the angel Gabriel that she would give birth to the Savior of the world. In an age in which not much is expected even out of Christian teenagers, Mary is a wonderful reminder that Middle Schoolers and High Schoolers are capable of a deep relationship with God. If you are a teenager, I pray that this will be a reminder to you to “Let no one despise you for your youth, but set the believers an example in speech, in conduct, in love, in faith, in purity.” (1 Timothy 4:12) If you are a parent or grandparent, remember that much of Mary’s love for and knowledge of God was taught to her in the home, which was the Jewish (Deut. 6:4-9) and is the Christian (Eph. 6:4) God-ordained place of every day discipleship. As a teenager, Mary put God’s desires for her life above her own desires (Luke 1:26-38). Being surprised one day by the angel Gabriel and being told that she would be pregnant with the Messiah was not in Mary’s plan for her life. This was unimaginably “inconvenient.” Rather than complaining, Mary’s response was, “Behold, I am the servant of the Lord; let it be to me according to your word.” (Luke 1:38) God’s will was more important to her than her will. She not only was submissive to God’s will, she joyfully embraced being used to bring God glory (Luke 1:46-55)! God’s will was good news to her. As a teenager, Mary knew God’s Word and “theology” (Luke 1:46-55). Mary’s spontaneous Song of Praise in response to giving birth to the Messiah is dripping with Scripture references and a deep understanding of God’s plan for redemptive history. She knew and loved both Old Testament Scripture and great truths about God. Mary’s Bible knowledge at the age of 14 reminds us that teenagers who can ace a pre-calculus class can understand and get excited about knowing God better through His living and active Word. If you are the parent of a teenager or are a grandparent of a teenage r, I encourage you to consider giving them one of these Bibles or books that can have an eternal impact in their life. 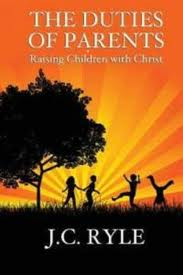 Just as the Apostle John had “no greater joy than to hear that my children are walking in the truth,” (3 John 4) speaking of his spiritual children, if you are a Christian parent I know that you will have no greater joy than to know that your children are walking in the truth of God’s Word. These resources can help. 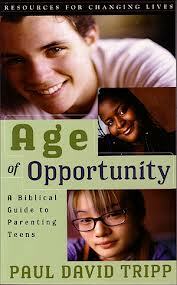 I have written a brief review of two study Bibles for teens and four carefully chosen books. I simply ask you to consider something before you choose one of these Bibles: think deeply about where your child or grandchild is in his or her walk with the Lord before choosing a new Bible. Which would be the most helpful to him or her? I have purposefully chosen books that stand alone if a teenager is motivated to read them, but that could also be easily used for parent-teenager discipleship. Any one of these four books would be perfect for planning a time to discuss a chapter after each of you have read it. If you have never done this, start with once a month–for example, if you chose Growing Up Christian, it has twelve chapters, so you could plan to meet with your teen the first Saturday morning of every month for one year. Feel free to comment below if you have ever done something like this with your teenager before! 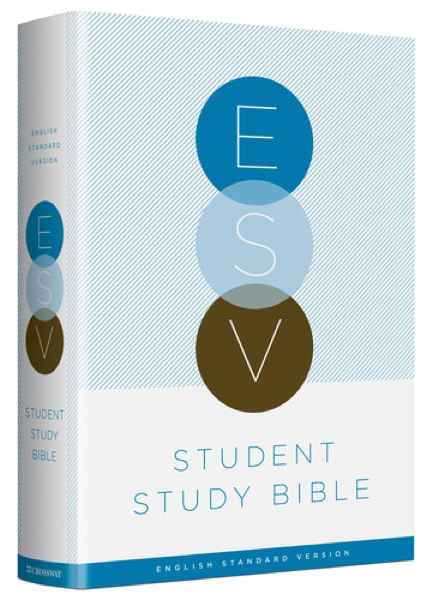 The ESV Student Study Bible is a great Study Bible for a teenager. I love my own ESV Study Bible, and the difference between a normal Study Bible and a “Student” version is that it explains things more clearly at times for those who have not studied the Bible for as many years. For example, at Genesis 1:26 my ESV Study Bible and the ESV Student Study Bible have essentially the same study note. But the ESV Student Study Bible also has a graphically appealing “Did You Know?” box that explains God’s plural use of “us” in that verse. See a video here that e xplains the idea behind the ESV Student Study Bible and if you’re thinking of purchasing it check out the different cover color options available. 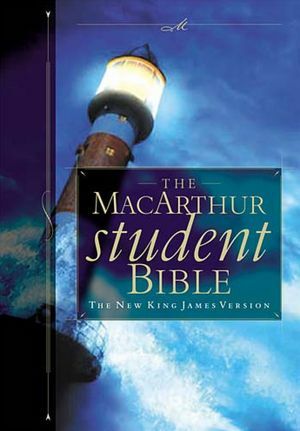 I also recommend The MacArthur Student Bible for the same reasons as above, but it only comes in the NKJV. If your teen is not currently reading and understanding the NKJV well, then I would stick with the ESV (if you have an older teenager, the regular MacArthur Study Bible is available in ESV and has an appealing layout with excellent study notes). 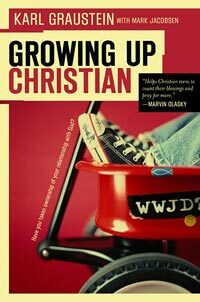 The book Growing Up Christian by Karl Graustein is the best book I have seen for teenagers who have grown up in the church. Joshua Harris explains, “[the author] wants to see them transformed by Jesus Christ’s finished work on the cross–not merely living off the religion of their dads and moms.” It is easy to read but has great depth and includes questions that you could use for a friendly discipleship discussion with your teen. Don’t Waste Your Life by John Piper is a life-changing book that challenges young people to live solely for the glory of God. He begins by writing, “The Bible says, ‘You are not your own, for you were bought with a price. So glorify God in your body’ (1 Cor. 6:19-20). I have written this book to help you taste those words as sweet instead of bitter or boring.” I can’t recommend this book more for the teens and twenty-somethings in your life. It was influential in my own call to ministry. 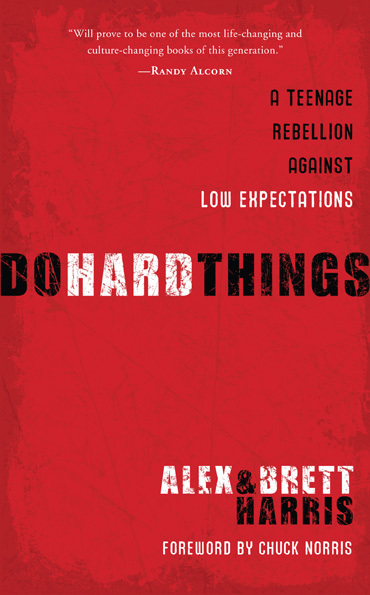 Do Hard Things by Alex & Brett Harris is subtitled, “A teenage rebellion against low expectations.” They assault the “myth of adolescence” by challenging fellow teens to live for God now rather than later. Here is a helpful review of this book by my friend Jesse Johnson. This is the only book recommended here that I have not read yet myself, but it strikes me as being in the same vein as Don’t Waste Your Life but maybe better for younger teens. 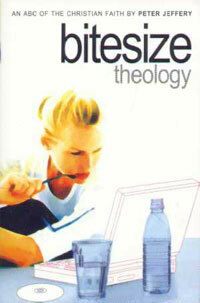 Bitesize Theology: an ABC of the Christian Faith by Peter Jeffery is the perfect book for your teen if you know that what they need right now more than a challenge to live fully for Christ, is a better understanding of the basics of God’s Word. I have never seen another book that can explain terms like “justification” and “sanctification” in 3 easy to understand pages. Unless you have a highly motivated teen, this would definitely be one to do together with them (there are also study questions at the end of each chapter) and it would be well worth your time! One of the best gifts that a parent or grandparent can give a child is a good Children’s Bible. We have found that there is no better time than Christmas to give our son a new Children’s Bible that we can read together all year. I have given a few questions to consider before choosing one, and a brief review of four excellent Children’s Bibles. What Children’s Bibles have been helpful to your family? Does it contain enough Bible stories to read together for most of the year? Some only have about 20 stories, but think long-term with reading this with your child every night. Does it have enough pictures, and are they age-appropriate? 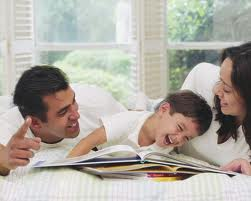 Children love to be read to, and you don’t want your child to dread reading their Bible with you as opposed to the other books with exciting pictures that you read together. Is it biblically and theologically accurate? Read a couple of the entire stories to get a feel for how they have explained the Bible stories. The last thing you want to do as you read Bible stories together is teach your child incorrect facts about the Bible and God. It is worth taking the time to look it over closely! Will I commit to reading this Children’s Bible with my child regularly? 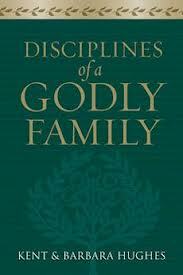 One of the most consistent ways that you can disciple your children (Eph. 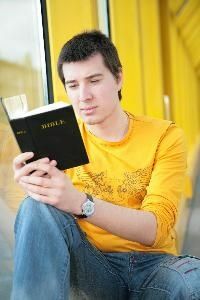 6:4) is to read Bible stories with them as part of your night-time routine or other set time daily. I am always amazed at the questions my 4 year old son asks when we read his Children’s Bible together. 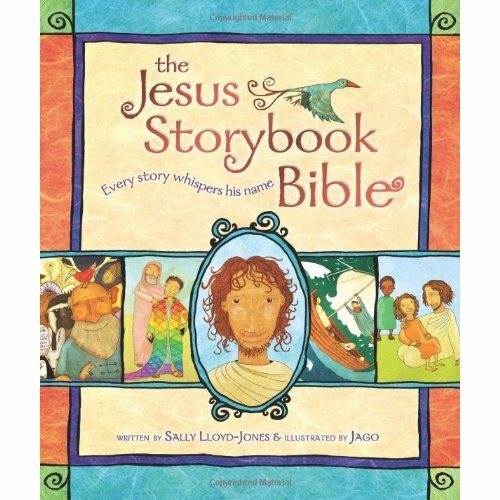 The Jesus Storybook Bible by Sally Lloyd-Jones and pictures by Jago is my favorite Children’s Bible. It ties the stories of both the Old and New Testaments into the hope of Jesus as our Savior. We read this Bible to our son during the year that he was 3, and he loved the pictures and the way the stories are written–and so did I. After one year of reading this, I was ready for something different that would teach him even more of the Bible, but you won’t regret getting this Bible for your child or grandchild about ages 3-10. The One Year Bible for Children by V Gilbert Beers has been an excellent way to bring our son through some new Bible stories this year. There really are 365 Bible stories including Psalms or Proverbs for the weekend! My son loves the “classic” Bible story pictures. It may have been too much for him as a 4 year old though–every other page has no pictures, so I would often google the Bible story as he would request a picture. I would highly recommend it for ages 5-9. What do you read to your toddler (or younger) to begin to teach them about God and His Word? 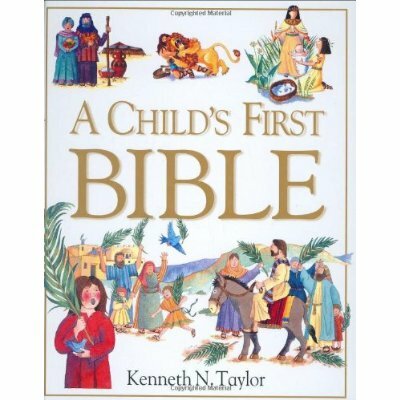 A Child’s First Bible by Kenneth N. Taylor has been perfect. I would recommend it for infants up to age 3. Even our 16 month old enjoys a couple of brief stories out of this at night. For now I paraphrase the story in a couple of sentences and point at the pictures in an excited voice as I talk about God. She likes looking at the animals in the pictures too. When she is closer to 2 and above we will systematically go through this whole Children’s Bible and read the text which is simple but faithful. 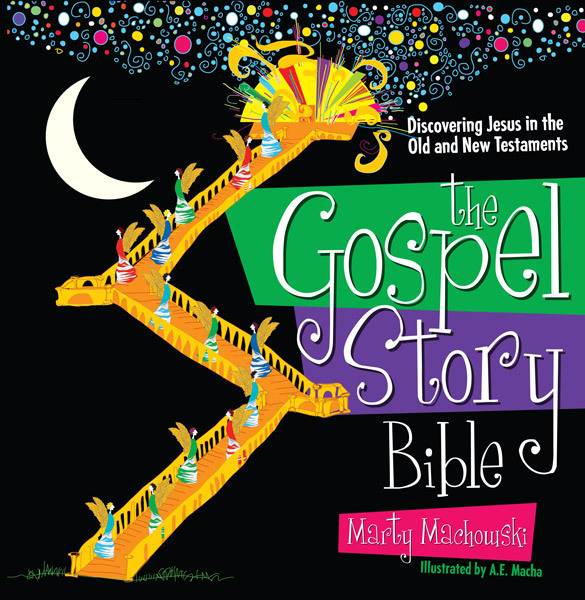 I am excited to begin reading The Gospel Story Bible by Marty Machowski to my son who will be 5 this year. It has all of the elements that I listed above: enough Bible stories to last for much of the year, a picture for each story, and biblical and theological accuracy (It has excellent reviews and I enjoyed reading several stories–it was hard to put down!). The subtitle, “Discovering Jesus in the Old and New Testaments” reminds me of The Jesus Storybook Bible but for kids who are a touch older. I think the sometimes abstract but colorful pictures may be too much for a child younger than age 5. 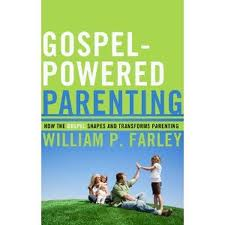 Christina Fox has a post at The Gospel Coalition blog that encouraged me in my own parenting this week. I read it yesterday afternoon and then I was tried in it last night. I love how Fox applies the gospel–as displayed in the cross–to parenting. I need forgiveness when I see that I sinned in how I parented. I can teach my children about the gospel and their need for forgiveness in Christ even as I ask for their forgiveness. As Fox says, parenting is hard for a reason. It is another reminder of our need for Christ. Read some excerpts below or click here for the full article. While I used to despair over my children’s imperfect sleep patterns, rambunctious behavior, and failure to say please and thank you, I now realize there is a greater purpose—my refinement. Each struggle, each exhausting day, each behavioral problem, is an opportunity for me to grow in my faith. God uses my children as mirrors to reflect to me the sin I didn’t realize resides in my heart. He is in fact using my own kids to refine and transform me. Time and again, the gospel of grace covers my sin, bringing me back to the cross of Christ. Jesus knew I could never be a perfect mom. He knew I couldn’t respond to my children with love and grace at every moment. He knew I’d have days where I would fail. And that’s why he came. At the cross he suffered for every time I am impatient, for every time I fail to teach and train my children, and for every time I don’t love them as he loves them. That day when I came face to face with my sins at the dinner table, I count it as grace. 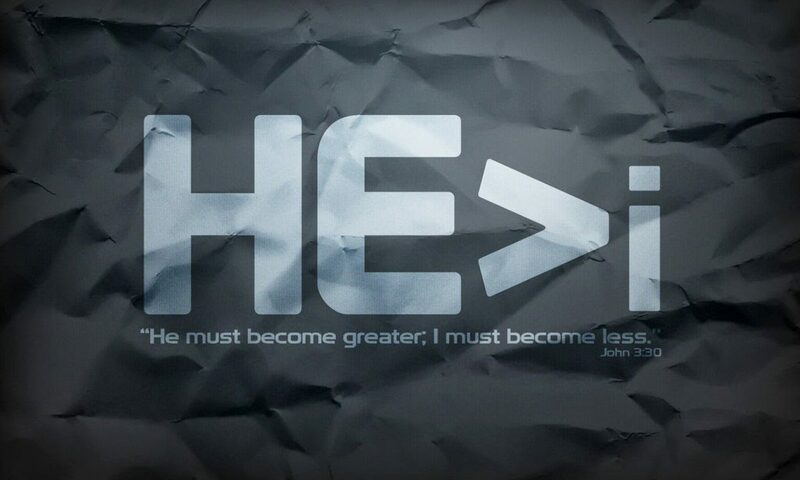 For it is God’s gracious love that desires to rid me of the sins that keep me from him. And after my son prayed, I asked him for grace and forgiveness for my impatience that day. Reminding him that I am sinner just as he is, I used the opportunity to point him to the grace of Christ who bore all our sins on the cross.